Dr. Liliana Warner, D.C., received her Doctor of Chiropractic degree from Life University in Atlanta. Her undergraduate degree in Psychology is from James Madison University in Harrisonburg, Virginia. Dr. Liliana received extensive training in Bio-Geometric Integration (BGI), working closely with Dr. Sue Brown, the creator of the BGI approach to wellness. As a child Dr. Liliana suffered from severe allergies and asthma, often contracting viruses and bacterial infections from a compromised immune system. In 1991, her mother reluctantly visited a chiropractor for back and shoulder pain after medical doctors could not help her. She could not lift her right arm to write on the blackboard, and that was a problem for a high school teacher! She experienced relief after her first chiropractic visit, and at her chiropractor’s suggestion, brought Liliana in for an initial examination. Dr. Liliana immediately experienced results from her chiropractic care, and within a couple of months most of her symptoms disappeared. She no longer needed an inhaler, and didn’t have to sleep upright to keep from coughing all night. Frequent illnesses from a compromised immune system became a thing of the past as chiropractic care enabled Dr. Liliana’s body to function as it was intended, healing and strengthening her body from within. While a high school student, Dr. Liliana worked in a chiropractor office, and after receiving her undergraduate degree worked as a chiropractic assistant in Richmond, Virginia. She saw all of the people who were helped in those practices, and felt her calling to serve others by becoming a chiropractor herself. She enrolled in Life University and began the rigorous course of study required to become a chiropractor. “Dr. L.”, as many of her participants affectionately know her, is proud to be a Doctor of Chiropractic, a health and wellness educator, a public speaker, and an active member of the Decatur community. She enjoys partnering with her participants at Lotus of Life Chiropractic to help them realize a lifetime of health and wellness. I chose to focus on family, pediatric, and pregnancy care because I was introduced to chiropractic care as a child and was able to see firsthand how much of a difference it makes when started at an early age. Both of my parents suffered from chronic back pain as a result of injuries from earlier in their lives and my younger brother endured persistent ear infections as a child. Chiropractic has helped my parents to heal their back injuries and has taught them enough about health that they no longer worry about reinjuring themselves. My brother has not had an ear infection since he started going to a chiropractor. The big difference between the two situations is that my brother started being adjusted at age 8 when his body was still developing whereas my parents had their injuries develop as part of them, making them more difficult to heal. As children, we have an amazing capacity to heal ourselves but we become so caught up in life that most people forget that that healing power is always available. My mission is to help adults to harness that internal power and to help children to never forget it! When a parent comes into my office tired and cranky after a long day of work but leaves only with thoughts of playing with their children, my goal is met. When a woman is able to have an intervention-free delivery after her baby develops correctly and is perfectly positioned with help from my chiropractic adjustments, my goal is met. When a person is no longer dependent on medications and is empowered to live their life to the fullest, my goal is met. As a chiropractor, when a child says “Thank you” or “I love you” after an adjustment because they feel so much better, I know my goal to help others is met. I became a chiropractor because I experienced its power first-hand and I felt a calling to share that knowledge with others so we can all live in a happier, healthier world. 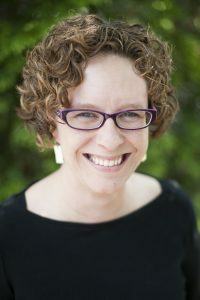 Dr. Liliana Warner is an Extension Faculty Member at Life University in Marietta. Are you ready to express your full potential?